Welcome to Harbinger451.co.uk... here you will find an Alternative View of Life, Living and Earning in an increasingly digital and online World! 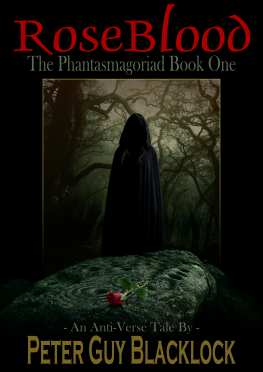 | Latest News, Updates & Babble from Harbinger451: 451 ePublishing Haus: Rose Blood: The Phantasmagoriad Book One – An Anti-Verse Tale by Peter Guy Blacklock (28-10-2017) | 451 ePublishing Haus: The Anti-Verse Tales series of eBooks and Web-fictions by Peter Guy Blacklock (24-10-2017) | 451 ePublishing Haus: Sneak Peek at Occult-Noir Horror Short Story: "Crucifixions Continue!" by Peter Guy Blacklock (08-07-2017) | 451 ePublishing Haus: Sneak Peek at Occult Horror Short Story: The Ninth Watcher by Peter Guy Blacklock (04-07-2017) | The Horror of it All: Lovecraftian Horror Movie Review: The Void (2016/2017) (13-06-2017) | The Horror of it All: Lovecraftian Book Review: Shoggoths and Sundown Towns - Lovecraft Country by Matt Ruff (2016) (10-06-2017) | The Horror of it All: The Druids in Fact, Folklore and Fiction (15-02-2017) | Update: Harbinger451's New Patreon Subscription Page Needs You! (19-01-2017) | The Horror of it All: Lovecraftian Book Review: Whispers From The Abyss (Volume 1, 2013) (03-09-2016) | The Horror of it All: Vampire Horror Movie Reviews: the Nosferatu films 1922, 1979, 1988 & 2000. (08-05-2016) | The Horror of it All: Lovecraftian Horror Movie Review: Re-Animator (1985) (22-04-2016) | The Horror of it All: Lovecraftian Horror Movie Review: The Dunwich Horror (1970) (17-04-2016) | The 451 ePublishing Haus: We made a Promo Video for our upcoming free H. P. Lovecraft eBook (13-04-2016) | Priory of Universal Truth: Universal Truth #2. Knowledge is Power (05-04-2016) | Gaea Parallaxis: Read Gaea Parallaxis and join the adventure in a monumentally strange parallel world! (24-03-2016) | Babble: Guy Fawkes - from Religious Terrorist to the Face of Anonymous Protest (04-11-2014) | Ripperology 101: What are the implications of DNA Evidence linking Aaron Kosminski to a Jack the Ripper Murder? (08-09-2014) | Babble: Asimov's Laws of Robotics Revised and Expanded for Real World Applications (14-05-2014) | This is an adapted Scrolling News Ticker by Mioplanet. Free for All - eBooks, apps, games & more! Work from Home & Make Money Online! The Priory of Universal Truth! The Zeitgeist CoffeeHouse Club Rooms! Updates & Babble from Harbinger451! "a progressive culture explores all alternatives and every possibility"
Harbinger451.co.uk is a hub from which you can discover those possibilities through a series of websites, eBooks & videos that blend fact, fiction and folklore to provide an alternative view of life, living & earning in an increasingly digital & online world. Explore these projects using the Quick Links to the left and right. provides a curious, funny, dark, informative, insightful, speculative & skeptical commentary on life & living, culture & society, fact & folklore, fiction & film, games & the Internet, plus a myriad of other aspects to the modern human condition - past, present & future. Who, or what, IS Harbinger451? Harbinger451 is a Web Development Company. Harbinger451 is also the online persona of Peter Guy Blacklock. Writer, illustrator, graphic-artist, web-designer, ePublisher, Lovecraftian, ripperologist and occultist. snorting and sniggering derisive HA!s at everything and everyone. Movie buff and total Horror fan. He is the Blogger at an Alternative Blog. The Founder of the Priory of Universal Truth. The Designer at Harbinger451's Merchandise Mart. The Creative at the Harbinger451 Channel on YouTube. AND the WebMaster here at Harbinger451.co.uk! at the same time as the completely proverbial Candle at Both Ends! Will you go with him down the Rabbit Hole? The Horror - Fact, Folklore or pure Fiction? Genre Fiction set in a Parallel World! Other other-worlds from fiction & folklore! The Anti-Hero role playing system! Accountants County Durham - McManus Hall is one of the North East's leading accountancy firms.